Our trip began at Paddington Station. Armed with much-needed coffee and smiling excitedly, bearing the usual signs of a girly trip away, my friend and I boarded the GWR train as the platform began filling up with the bustle of a morning rush – the smell of takeaway coffee, hurried footsteps and rushed conversations. Just a few hours later we were in a taxi driving through quite a different world. One where Georgian townhouses hoover over the river banks as canal boats lazily pass by; where tea parlours and vintage jewellery stores line up the streets the same way they used to back in the 18th century, and airy squares complete with pretty parks add to the overall small town charm. 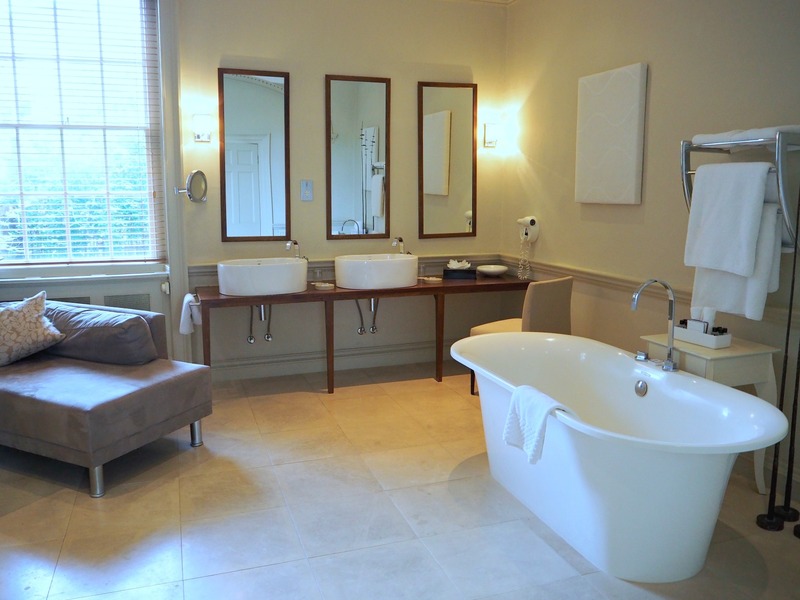 Bath is a perfect place for a trip away. 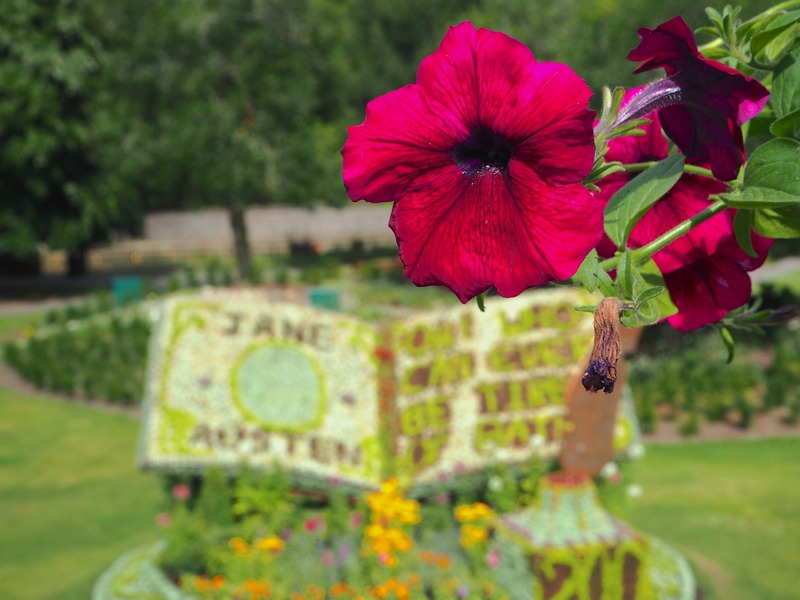 Famous for its natural hot springs (the only ones in the UK) and gorgeous 18th century architecture, the city has been the ultimate spa destination for hundreds of years, but there was one more reason behind our visit – Jane Austen’s bicentenary. UK’s most beloved author (after all, she’s given us Mr. Darcy!) Jane spent most of her life in the rural Hampshire, its countryside and people serving as an inspiration for many of her novels. 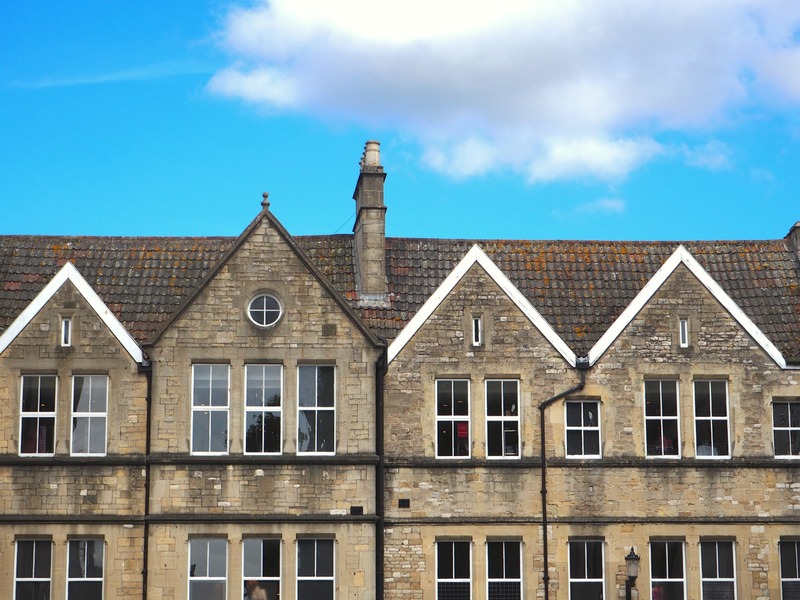 In fact, Northanger Abbey and Persuasion were both set in Bath where she lived for a number of years. 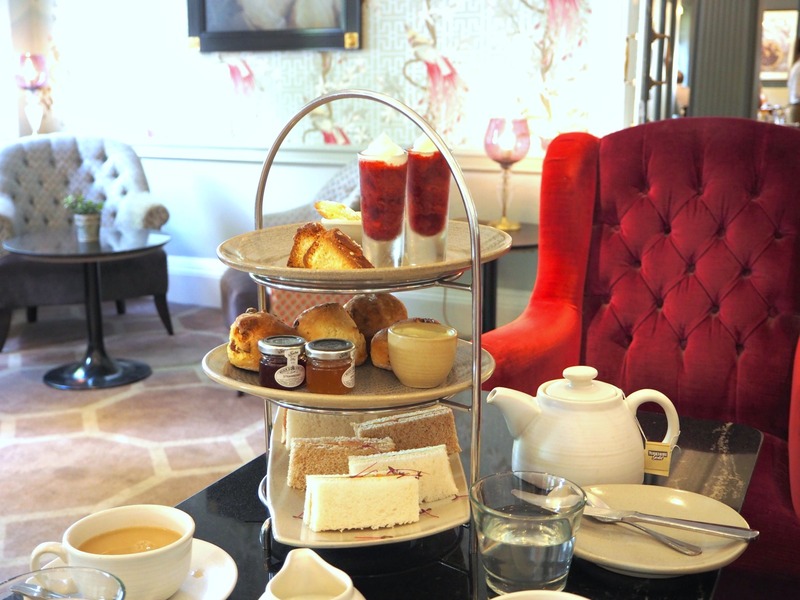 With Jane Austen’s 200th anniversary fast approaching on the 18th July, my friend and I followed into her footsteps, exploring the Georgian streets of Bath where she’d herself once stroll, indulging in afternoon tea, prosecco-filled evenings… and, of course, a visit to a spa – all of which I’m sure Jane Austen would approve! Our day began with a check in at the family-ran Queensberry Hotel set inside a Georgian townhouse. The owners found a perfect way to seamlessly blend modern comfort with the hotel’s historical heritage. 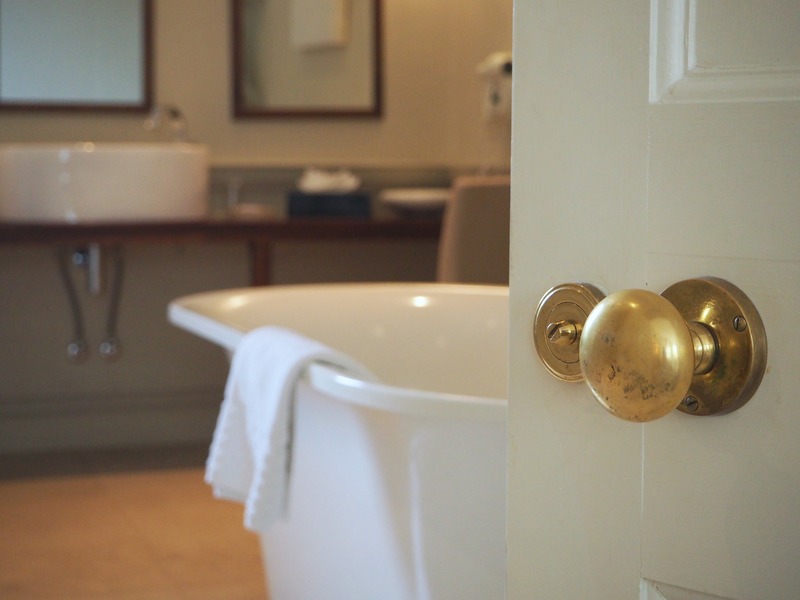 Greeted with classical music gently sipping from the speakers as we opened the door to our room, our favourite part was undoubtedly the bathroom. Nearly half the size of my East London flat and complete with a roll top bath (perfect for a bubble bath and a glass of prosecco in the evening – we’ve put it to a test! ), it came with not just one but two showers (and a sofa, may I add). After a quick look around the hotel’s courtyard garden – we loved the whimsical touches; the walls were draped with ivy and giant mirrors were installed in place of windows – we headed to town. 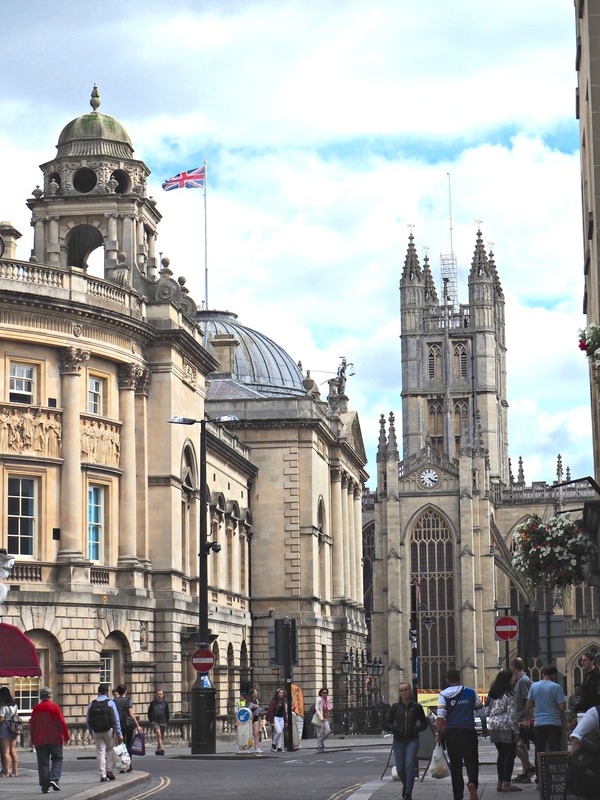 Part of Bath’s charms had lies in its size – most places are within a walking distance from each other which makes it simple and easy to get around. In what we believed to be a true Jane Austen’s fashion, we headed for an afternoon tea at Emily’s Tearoom in Brasserie Blanc. 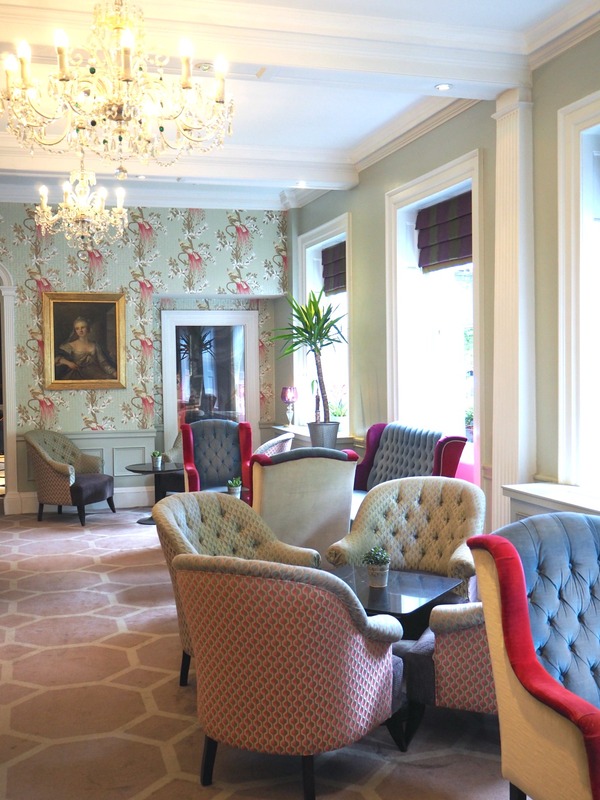 The tearoom happened to be a part of the same line of townhouses as the building where Jane Austen once lived while flat hunting in Bath, at no 13 Queen Square. The tearoom was a cheery mix of brightly coloured floral furnishing and historical portraits dominating the walls – a perfect backdrop for our afternoon tea. Personally, I’d recommend it over the much busier and crowded (although gorgeous looking) Pump Rooms which appear to be one of Bath’s most popular tea rooms. A visit to Jane Austen Centre, chronicling the life and times of our favourite author through a series of exhibitions (we particularly enjoyed the dress up part! ), was swiftly followed by a walk to Parade Gardens – a beautifully styled park overlooking the riverside. Filled with colourful flowers (including beautiful floral book designed for Jane Austen’s anniversary) and comfortable sun beds scattered across the loan, it’s a lovely place to relax and people watch. 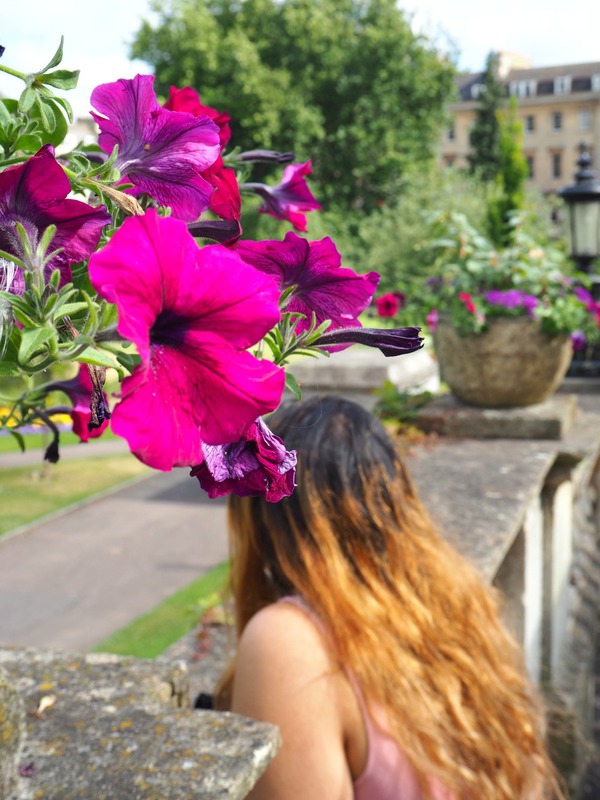 We then ventured outside of the city centre to Sydney Gardens – a quaint space just a stone throw away from Jane’s first, and favourite, home in Bath at 4 Sydney Place. We could easily see why Jane loved living in the area – filled with bright, graceful crescents and greenery yet still a walking distance to town centre, the area was full of with undeniable charm. The last stop for the day, right before we headed back to the hotel to enjoy a girls’ night in with prosecco and a bubble bath, was a dinner at The Roman Bath’s Kitchen. Facing Abbey Church Yard, the once traditional Georgian townhouse was now lovingly transformed into a contemporary space, serving delicious cocktails and great food. 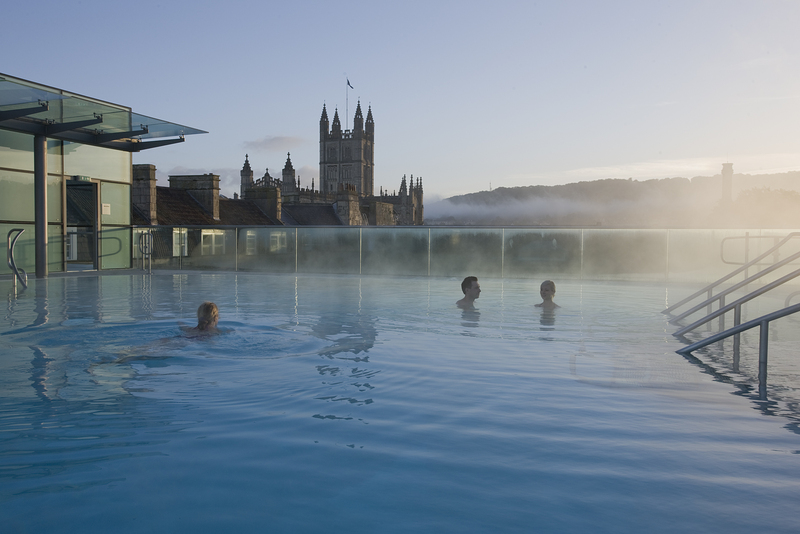 Our morning wasn’t short of delights – soon after our breakfast, we headed to Thermae Bath Spa. 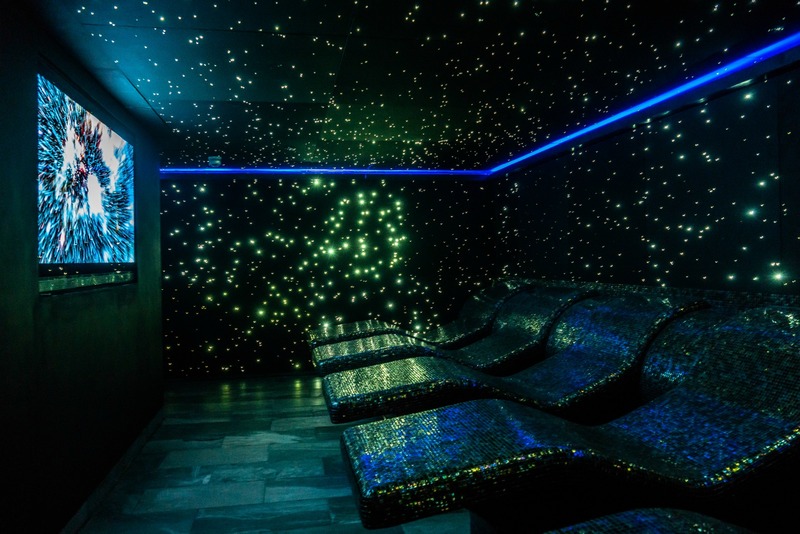 Britain’ s only natural thermal spa and the fruit of a 10 year project to restore the original spa that closed in 1978, it’s a place to truly indulge. 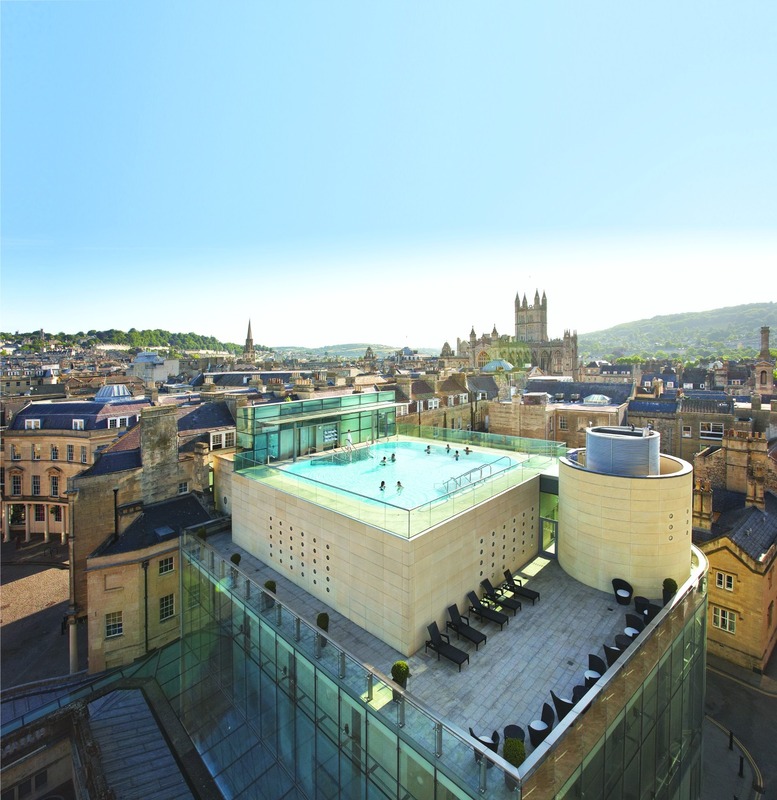 Modern yet mindful of its past, Thermae Bath Spa boasts a natural thermal waters rooftop pool, a stunningly designed Wellness Suite showcasing ultra modern facilities (think scented rooms and colour therapy) mixing in historical elements.. add a range of wonderful treatments and private rooms to the mix and you won’t want to leave! 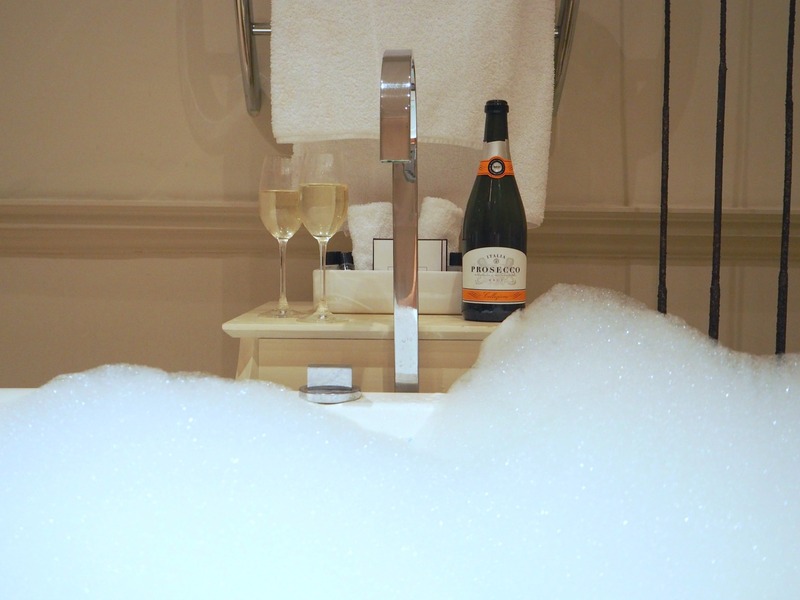 Photos courtesy of Thermae Bath Spa. 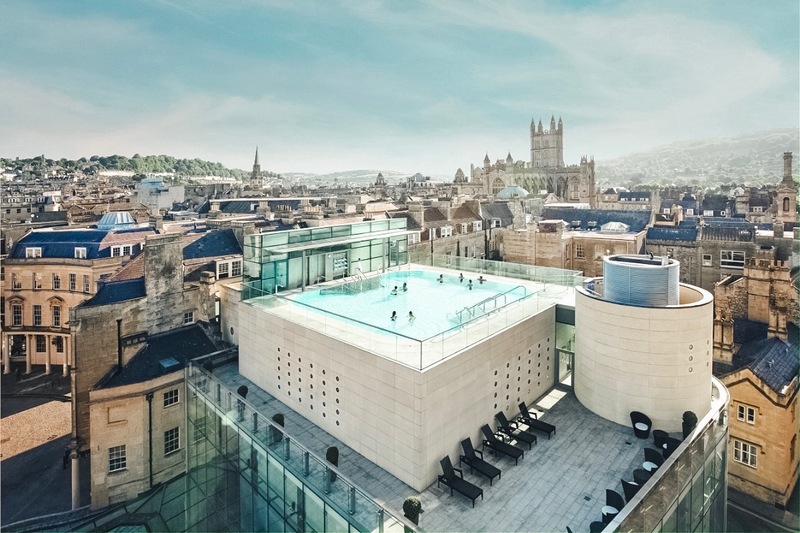 The spa stayed true to its historical roots – the rooftop pool boasts lovely views of the Bath’s spa quarter, serving as a map to the city’s spa history. From here, you can see The Cross Bath, which Jane Austen’s brother and father are believed to have frequented, The Hot Bath and The Roman Bath’s Museum, amongst others. But it’s not just what stretched beyond the terrace that serves as a reminder of Bath’s incredible past – archaeological excavations carried out underneath the building traced human activity dating back 10,000 years! 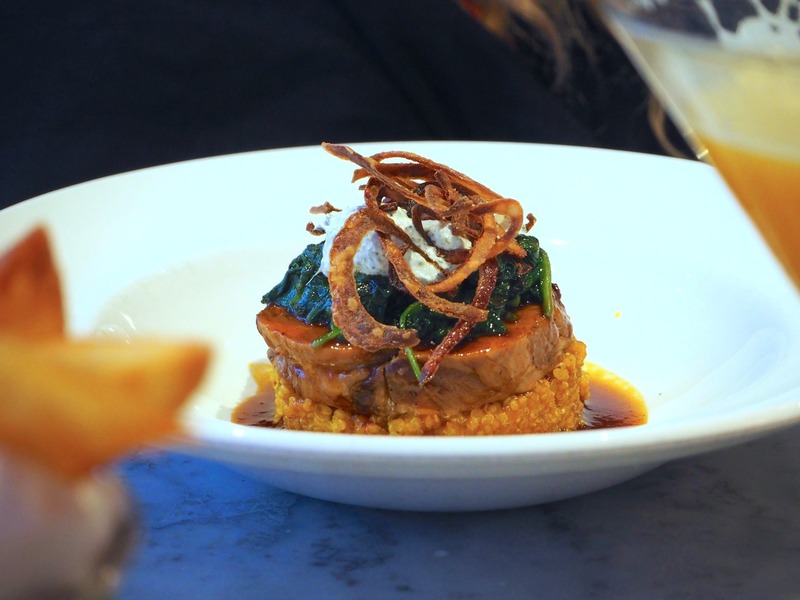 This post is written in collaboration with Visit Bath – all opinions are my own. Great Western Railway gwr.com trains from regularly from Paddington to Bath and take 90 minutes for train times and to book visit gwr.com.